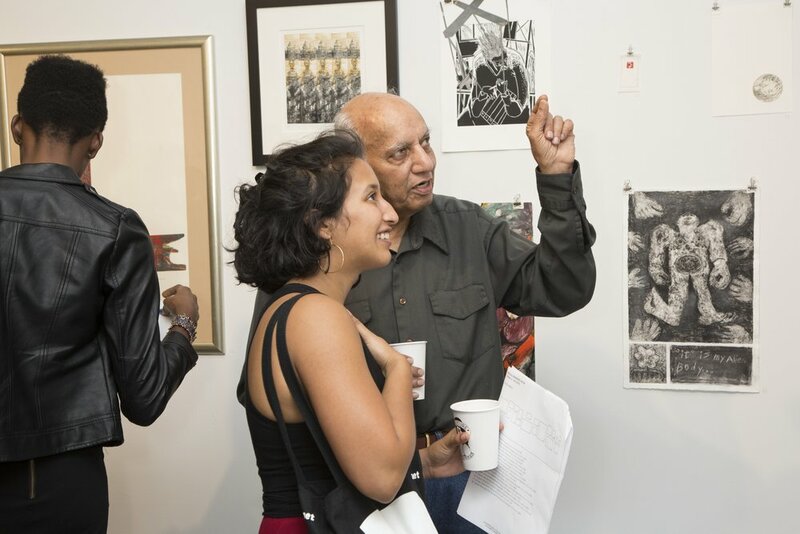 Please join us in celebrating EFA Robert Blackburn Printmaking Workshop’s ANNUAL MEMBERS SHOW. Techniques include Stone and Photo Lithography, Risographs, Monotypes, Collagraphs, Relief, and Intaglio prints. Exhibited prints represent our diverse community and the many techniques that our facilities have to offer. As an artist and Master Printer, Robert Blackburn was known for his development and advancement of stone lithography; today, the printshop is the only community printshop in Manhattan with Stone Lithography available.